The foodie gifts list is always my favorite, and the most agonizing at the same time. How to edit all the amazing stuff I love out there into one short list? Well here goes my attempt at it. I have here both high and lower priced options - but all $80 or under! The Giusti family has been custodian for centuries of an invaluable patrimony, the largest antique collection of rare barrels dating back to the 1600s, 1700s and 1800s. 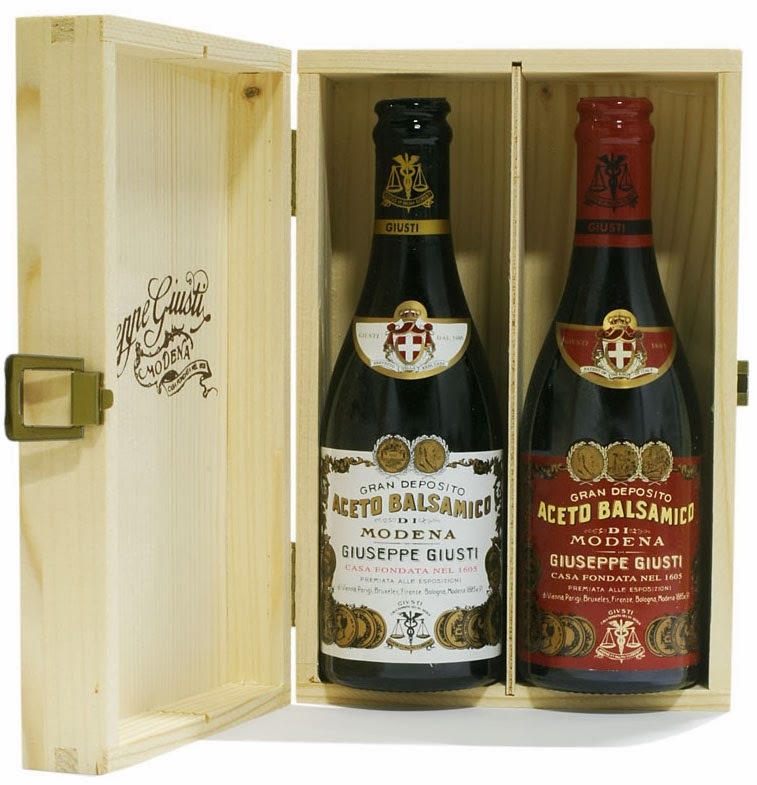 Hence, at the heart of Giusti's balsamic vinegar is the repose of the product in precious barrels infusing aromas and flavors created centuries before. Conscious of this, the Giusti family has throughout the centuries carefully maintained the collection in order to keep intact the delicate characteristics of the celebrated "Giusti bouquet of aromas." Honey can be amazing when it's not the mass produced, super sweet, sticky kind that comes out of a plastic bear (however cute that packaging is). 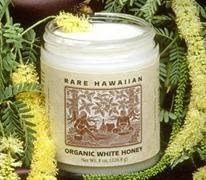 One of my favorites is a white, rare, raw organic Kiawe Honey that comes from an isolated forest on the island of Hawaii. Love the description that the Kiawe trees grow in a desert fed by an underground aquifer of fresh water that has filtered down from the volcanoes. This honey has an incredible creamy texture, and...you know how wine enthusiasts talk about terroir (how you can taste the climate and environment of the place where the grapes came from)? That's how I feel about this honey - you can taste the purity and bounty of the flora in the relatively untouched Hawaiian tropics. 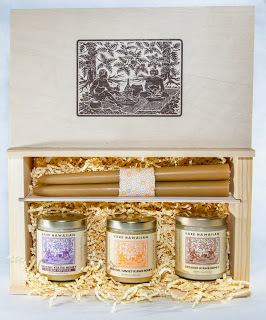 You can also get a great gift set of three 8 oz jars of Rare Hawaiian honeys (your choice) packed in a handscreened natural wood keepsake box, with a pair of candles made from organic beeswax. 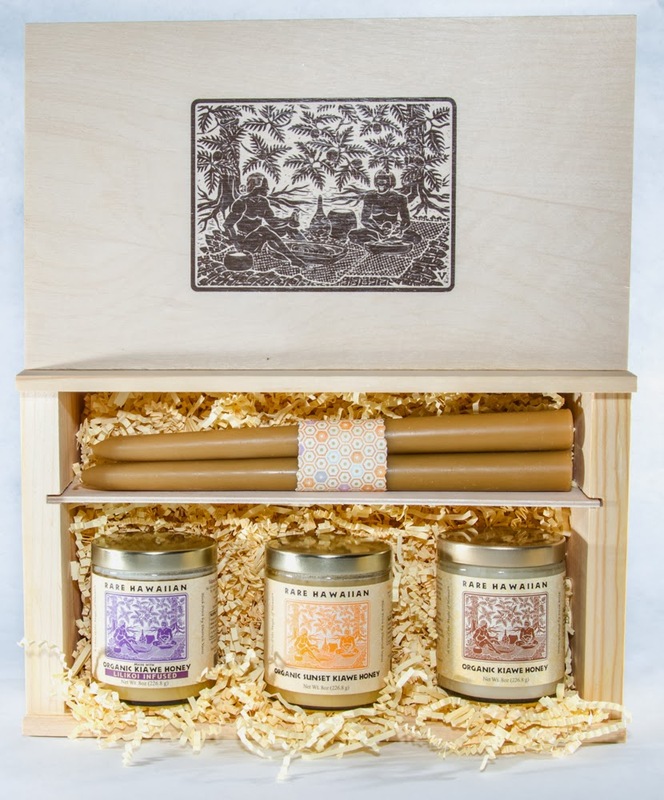 Or, make your own 'Birds and Bees' gift basket with the honey plus Bird Pick tea in Premium Taiping Monkey’s Pick Green: I love food with a good story behind it, and this one is fun. 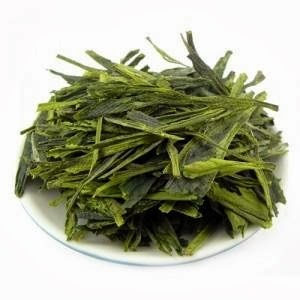 Folklore says the name originates from the use of trained monkeys to pick tea leaves from hard-to-reach trees, in the Anhui province of China. Presumably, no one actually uses monkeys to pick this tea nowadays, but the name is still associated with the finest quality in tea. If you shop at one of their store locations, Bird Pick also offers great glass jars for their teas which would make a nice gift set with the jar of Hawaiian honey. Ever been tortured by something you read about some amazing culinary creation from across the country, that you can't access because you don't have an upcoming trip there, don't know anyone who lives there, and/or they don't have an online shop or any plans to ship their products? Yeah, I went through that too, many a time. Well now a brilliant service, Goldbely, is offering the chance to get your hands on these gourmet goods in limited quantities. Cronuts: this weekend only at cronut.goldbely.com : they will randomly issue limited amounts for purchase with free shipping! This may be as frustrating as waiting in line in real life at Dominique Ansel's bakery though - because the cronuts are gone pretty much within split seconds of the flash sale popping up. 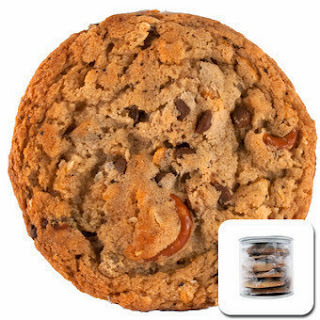 Other items don't make you jump through ridiculous hoops like that: you can just order the 'traditional' way online: like Momofuku Milk Bar's compost cookies. Now if only they would add Laduree macarons to their list of offerings!!!! Instead of a standard issue box of some mall-based chocolate store, check out these handcrafted salted caramels that will literally make it impossible to go back to mass produced candy ever again. Le Caramel: Support local business, these guys are based in San Diego, but have a passion for recreating salted butter caramels, slow-cooked from a traditional french recipe handed down by the best caramel maker in Isigny, Normandy. Super soft, creamy, and well balanced between salt and sweet. 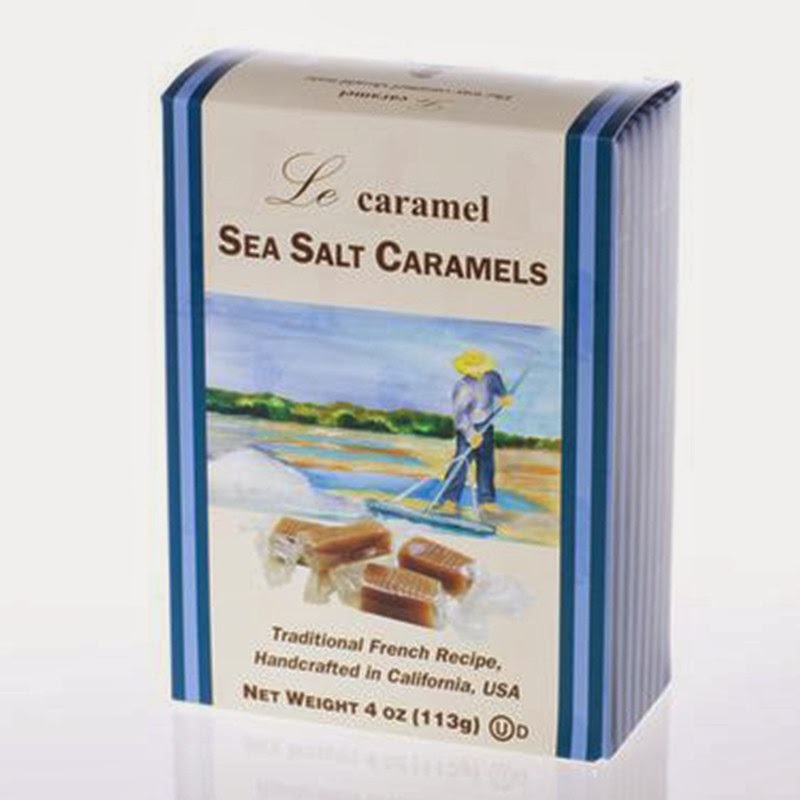 These also come in a chocolate flavor, but I liked just the Sea Salt Caramels best. 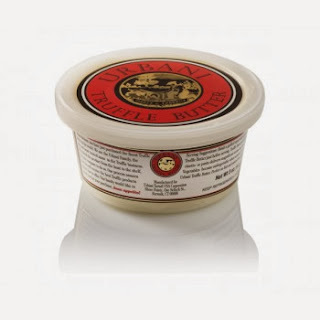 Buy from: Epicure Imports warehouse sale (last one before Christmas is Dec 20 & 21!!) 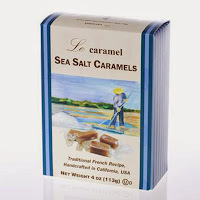 if memory serves correctly, $6.25 a box, or local stores listed on Le Caramel's site. 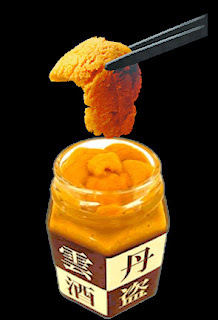 If you have friends who love those delicacies of the sea (*cough* *cough*), any time of year, Maruhide Uni Club has them in shippable form: fresh Santa Barbara sea urchin preserved with a kelp-based soy sauce in a delicious bottle in various flavors (my fav is the Yuzu Chili!). Known as 'shutou' - you can buy these at their restaurant / marketplace in Torrance (and grab an awesome deal of an uni meal while there), or order online. These shutou are served in first class on Japan Airlines as an hors d'oeuvre, so they make a perfect gift for your VIF (Very Important Foodie). Buy from: Maruhide Uni Club in Torrance or their online store $42 for four bottles of Uni Shotou minimum when ordering online. Can buy in single bottles at restaurant. 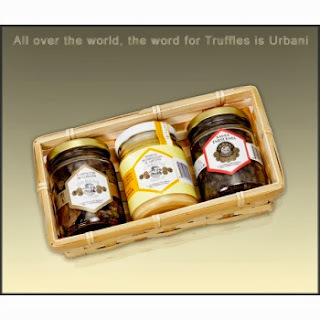 Urbani is the Tiffany's of truffles...but if like me you can't afford top of the line 'black diamonds', give the gift of truffles 'all day' with other Urbani products they can use for breakfast, lunch and/or dinner with the essence of quality truffles. Let them start their day off right with Black Truffle Butter. 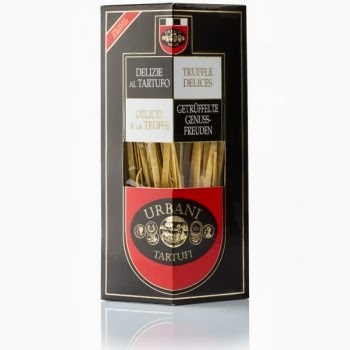 Lunch: A trio of jars of truffle deliciousness: white truffle fondue, black truffle sauce, black truffle carpaccio - that they can add to their own favorite culinary 'canvas' from toasted baguette for dipping, over scallops, or add to polenta or their favorite pasta. Dinner: Speaking of pasta, a perfect pairing with truffle: Urbani has super fragrant Truffle Tagliatelle (for under $20!) that your fav truffle lover can simply toss with some butter, salt and pepper to make for a luxe pasta dish. They come in these tear packs that you just open the top, pull out the paper wings on either side, slip them over the edge of your cup - to create a disposable, single-serve, instant pourover device. Pour in hot water and let it drip through the paper filter into your cup, and that's it! No mess to clean up after either - just throw the whole paper device out like you would with a tea bag. These are perfect for people who are always on the go, and not often to places where they can access good coffee. 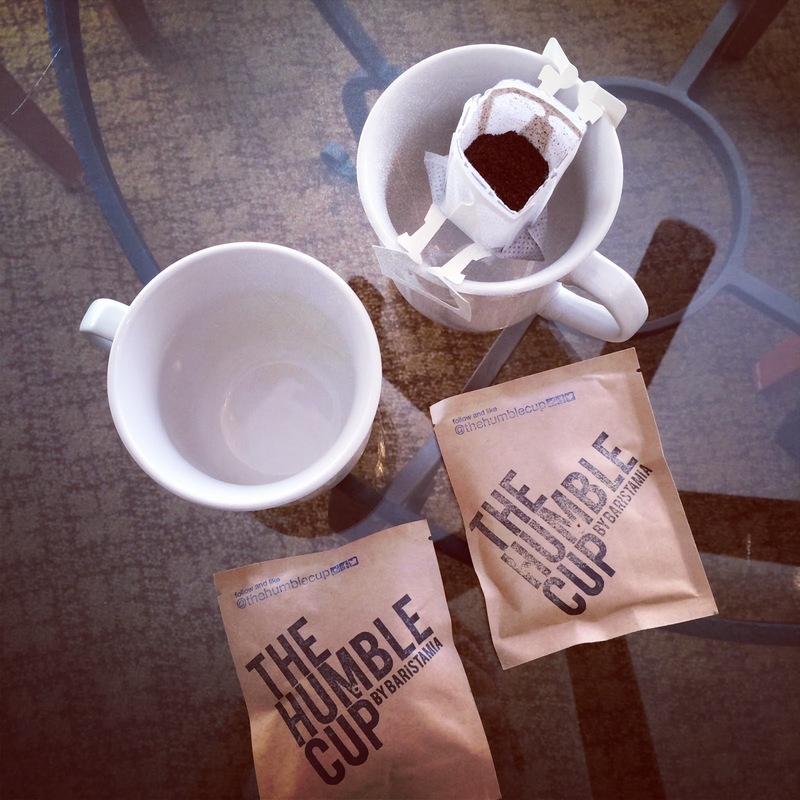 Or just those who want a 'grab n' go' but good brew to start their day at the office. *Full disclosure: The owner of Taza Coffeehouse is a friend. Buy from: Taza Coffeehouse in Arcadia, $15 for pack of 5 (from a variety of origins including Costa Rica, El Savador...) or $20 for pack of 12. This is just a start. Got any cool edible gift suggestions? Send 'em my way or post in the comments! Separate post on more durable gift ideas here!